Krishna Janmashtami or Gokulashtami is the celebration of the birth of Lord Krishna. Krishna was the eighth avatar of Vishnu and Janmashtami is celebrated on the eighth day of the Shravana month, which usually falls in August. Janmashtami is a Hindu festival predominantly celebrated in Northern India. The festival of Janmanshtami is followed by the celebration of Nandotsav. Lord Krishna plays a very important role in the Mahabharata. Krishna was the son of Vasudev and Devaki, he was their eighth son. He was born in Mathura, Uttar Pradesh, which was the ruling capital of Yadavas. Devaki’s brother, King Kansa had imprisoned his father and took over the throne. There was a prophecy that he will be killed by the eighth child of Devaki. Afraid of the same, he killed the six children of Devaki and the seventh was a miscarriage, he locked them both in a prison cell, after which Krishna was born. After his birth, Krishna was immediately taken to Gokul, and handed over to Nanda and Yashoda. Vasudev returned with the daughter of the duo and Kansa thought she was Devaki’s daughter. He tried to kill her, but she rose into the air and warned Kansa about his death. Krishna spent his childhood in Gokul and later killed Kansa with the help of his brother, Balram. The majority of Hindus celebrate Krishna Janmashtamiby fasting. Krishna is believed to have been born at midnight; hence devotees stay up until midnight to celebrate his birth. 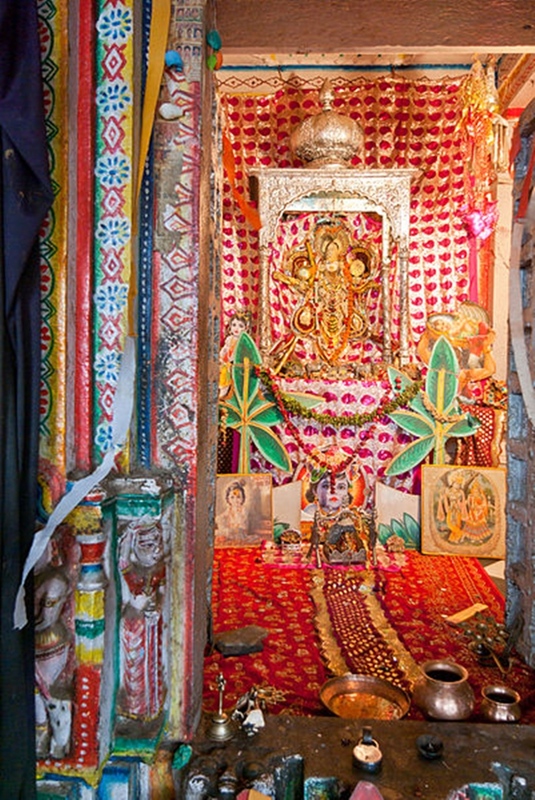 Devotees sing devotional songs, dance and exchange sweets at midnight. 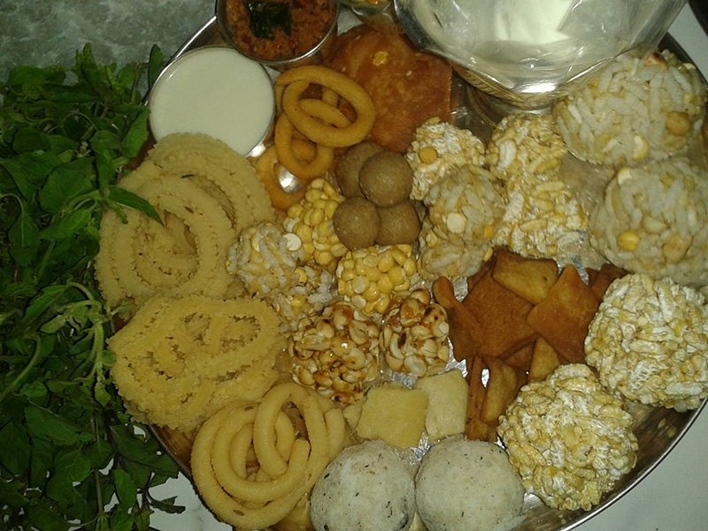 Lord Krishna is offered sweets, milk, curd, butter and a variety of fruits. The idol of Krishna is arranged in cradles and swings. The festival also sees enactments of the childhood of Lord Krishna in the form of Raas Leela or stealing butter from the earthen pots. Krishna Janmashtamiis celebrated in different ways across the Country. In Maharashtra, the festival is celebrated as Dahi Handi, where a pyramid is formed and the group tries to break the earthen pot filled with buttermilk, tied on the top of a rope. The person at the top has to try and break the pot. The event is based on the childhood of Lord Krishna where he tried to steal butter from the pots. In North India, where Lord Krishna was born, the festival is celebrated with great zeal and lakhs of devotees travel to Mathura for the same. In Jammu, the festival is celebrated by flying kites. The festival is also celebrated with great fervor in South India. People sing devotional songs and decorate the floor with rice batter. A range of fruits and sweets are offered to the Lord and devotees observe a strict fast throughout the day. During Janmashtami, the tiger dance, which is a unique form of dance, is performed and enjoyed by all age groups.